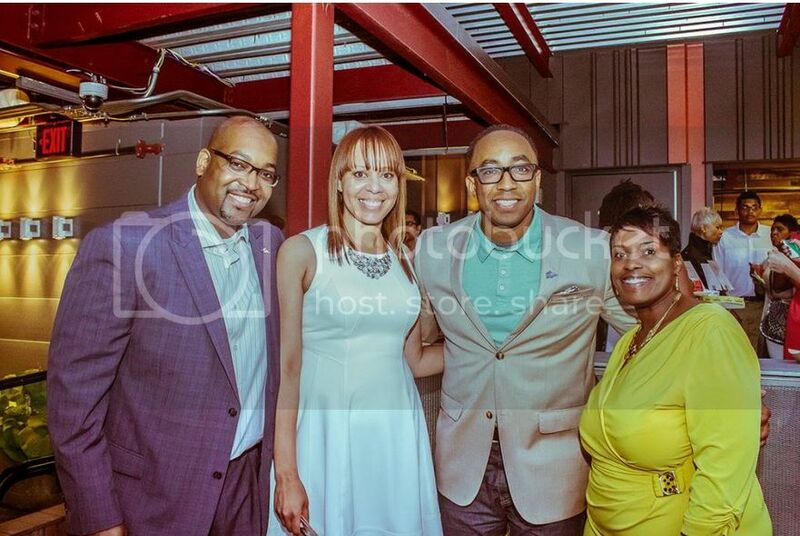 and Ambra Redrick, Executive Director of Teen Hype at the organization’s 2013 fundraiser. The event will feature a presentation of Teen HYPE’s second annual Spotlight award winners, recognizing two individuals or organizations committed to positively impacting the community; live entertainment by one of Detroit’s own R&B/soul groups, The B. Williams Experiment, and the spinning expertise of DJ Amy Dreamcatcher. Guests can participate in a silent auction featuring tickets to local events, gift certificates and goodie baskets. This year’s honorary co-chairs include Janice Cosby Bridges, chief marketing and community relations officer for Ascension Health Michigan and St. John Providence Health System; Portia Roberson, head of the city’s Civil Rights and Ethics Division; and Marlowe Stoudamire, principal at The Butterfly Effect and an inaugural recipient of Teen HYPE’s Spotlight award. “HYPE the Rooftop, A Decade of Dedication” is made possible in part by presenting sponsors Quicken Loans and St. John Providence Health System. Other major sponsors include the Health Alliance Plan of Michigan (HAP) and Henry Ford Health System. Teen HYPE welcomes donations from businesses and local eateries that would like to participate. Please contact Juanita Davis at events@teenhype.org to learn more about sponsorship opportunities or visit www.teenhype.org/hypetherooftop2014. Tickets begin at $50 and are available now at www.teenhype.org/hypetherooftop2014. Founded in 2004, Teen HYPE empowers urban youth to thrive while strengthening their community. The organization provides cultural, educational, and personal enrichment experiences to help teens make positive choices, improve their quality of life, and become leaders in their schools and communities. For questions about Teen HYPE or if you would like to get involved, please contact Ambra Redrick at ambra.redrick@teenhype.org or 313-831-8336.